Special Collections | Supporting teaching, learning and research at Manchester Metropolitan University and beyond. Over the last few weeks our intern, Harry, has been working with a number of 5th and 6th century Anglo-Saxon grave goods for our Object Conservator, Alison Draper. In this post, he shares some of the background to the Bones without Barriers project, and his role in checking and preparing the materials for delivery to the University of Central Lancashire Archaeology department. 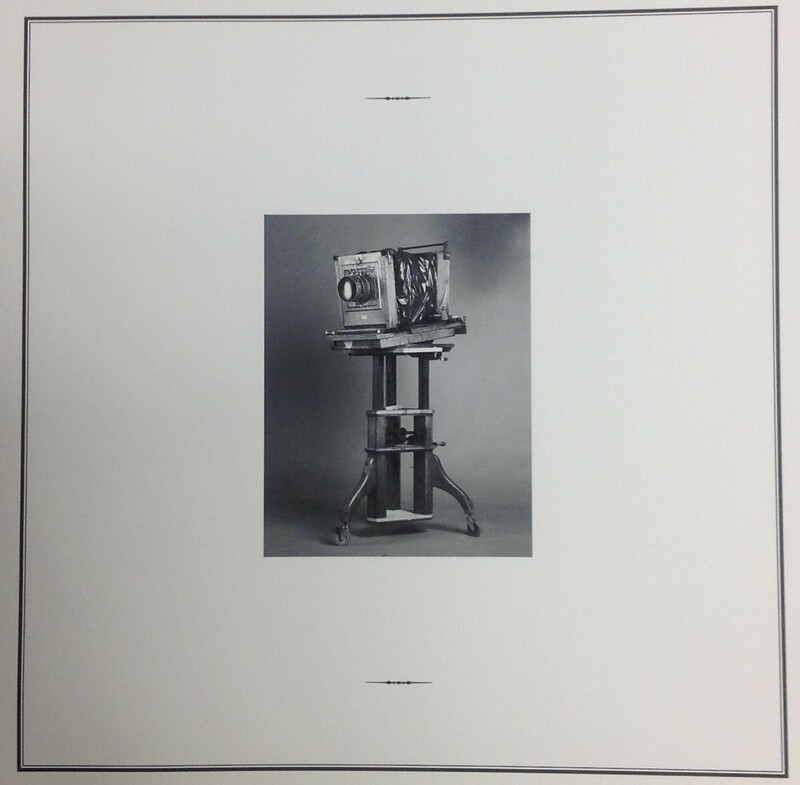 Manchester Met colleagues Gavin Parry and Dave Penny (both Senior Lecturers in Photography) have kindly donated archival material relating to the production and publication of their 2011 book Anatomy of an Institution: a photographic portrait of MMU. Using a Victorian studio camera, Gavin and Dave photographed a range of Manchester Met staff including technicians, cleaners, management and academic staff to create a visual portrait of the institution. The archive includes prints, negatives and administrative material created during the production of the book and records the history of this creative process whilst also helping to facilitate further publication and research activity within Gavin and Dave’s ongoing series of ‘Anatomy Projects’. The family of the renowned artist and wood engraver Sarah van Niekerk, who sadly died last year, have recently donated her archive to Special Collections. Sarah studied under Gertrude Hermes at the Central School of Arts and Crafts, London. She subsequently took on the role of teaching wood engraving at the Royal Academy Schools and later at West Dean College, Chichester, and the City and Guilds of London Art School. As an artist, Sarah provided illustrations for many books and publications, as well as completing editioned engravings, and she also exhibited nationally and internationally. She was very actively involved in the Society of Wood Engravers, serving as Chairman, and was a Fellow of the Royal Society of Painter-Printmakers and a Royal West of England Academician. 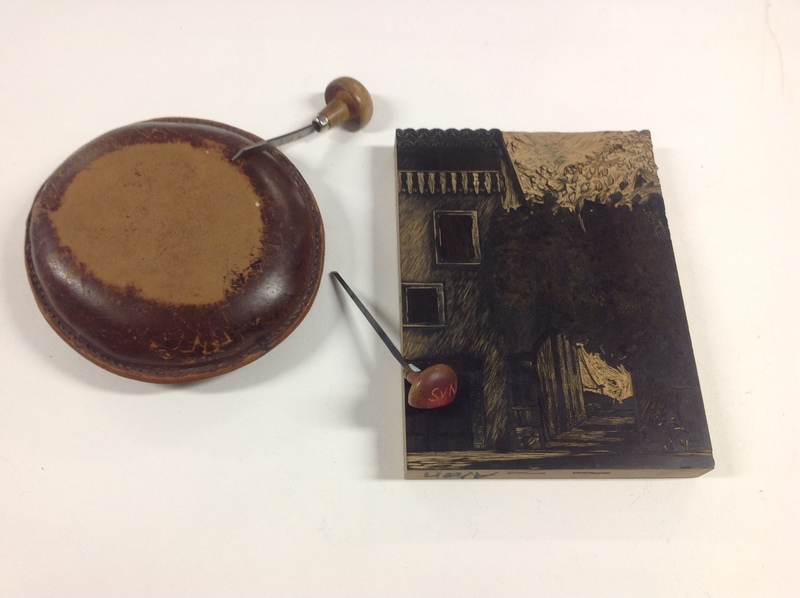 The donation includes many of Sarah’s engraved blocks, proof prints and editioned prints, sketch books and examples of her published work, as well as a set of her engraving tools. This extensive archive will make a very valuable addition to our collection of archives relating to the art and practice of wood engraving. We are very grateful to the van Niekerk family for this important and generous donation. co-founded by designers Jon Massey and Adam Stanway. An A5 Moleskine sketchbook was hand delivered by Jon and Adam to 52 diverse, Manchester-based creatives inviting them to contribute a unique piece over a double-page spread. Money raised from the sale of the sketchbook went to Forever Manchester, a charity that supports community activity across Greater Manchester. A number of marbled papers from the 1980s by Ann Muir, donated by Dr Lindsay Newman. A number of Curwen Papers from the 1930s, donated by Colin Cohen. Three ceramic dishes designed by Mitzi Cunliffe, probably in the 1950s, for Pilkingtons Royal Lancastrian Pottery, donated by Judith and Robert Sandling. Archive of the exhibition The Falklands factor: representations of a conflict, Manchester City Art Gallery and the History of Art and Design Department of Manchester Polytechnic, 1989. Donated by Jim Aulich. Re-engineered Brown Betty teapot by Ian McIntyre for Cauldron Ceramics, Staffordshire, 2018. The Boethius suite of etchings by David Chandler, 1999, given by the artist. Two lithographic prints by Janet Kirk, a student from 1908-1909. 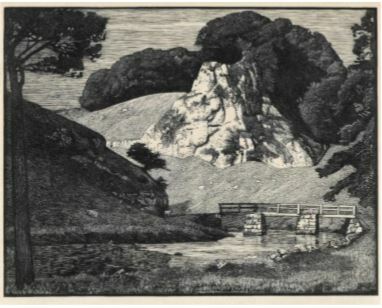 Two prints by Sydney Lee (1866 – 1949), a British wood engraver and a founder member of the Society of Wood Engravers. Lee studied at the School of Art from 1919-20. We are grateful to Leighton House Museum, London, for transferring these prints to us. Cover illustrations by Yehrin Tong on display in our Reading Room. To celebrate the fortieth anniversary of Virago Modern Classics, earlier this summer Virago Press published a baker’s dozen of deluxe paperbacks, designed by Hannah Wood and featuring artwork by the illustrator, Yehrin Tong. We are delighted that they have donated a complete set of the books to our Book Design Collection, available for all to see in our Reading Room. The books in this series are by some of Virago’s most-loved writers: Antonia White, Elizabeth Taylor, Zora Neale Hurston, Angela Carter, Patricia Highsmith, Nora Ephron, Grace Paley, Janet Frame, Rosamond Lehmann, Mary Renault, Rebecca West, Muriel Spark and Elaine Dundy. And they are introduced by some of the very best contemporary writers, including Sarah Waters, Hilary Mantel, George Saunders, Tessa Hadley, Zadie Smith, Gillian Flynn, Tom Holland, A. L. Kennedy, Elizabeth Day and Rachel Cooke. Virago also issued a hardback, Writers as Readers: an anthology of forty introductions from the last four decades. This anthology celebrates the women and men who, from the list’s inception, have shared their knowledge and enthusiasm by writing wonderful introductions, championing the Virago Modern Classics as books that deserve once again to be read and loved.